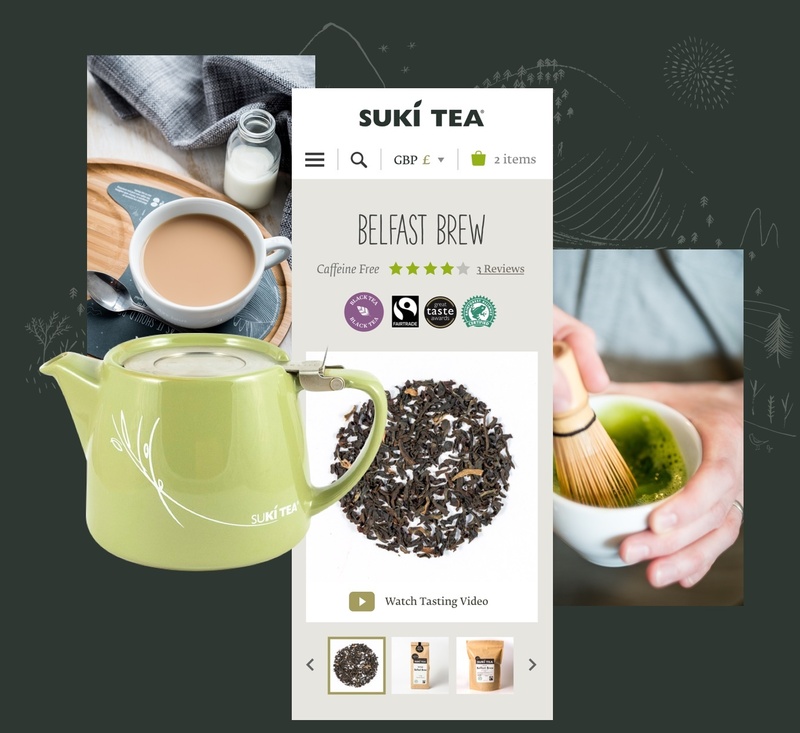 Belfast-based Suki Tea is firmly established as a big name in the UK’s thriving loose leaf market. 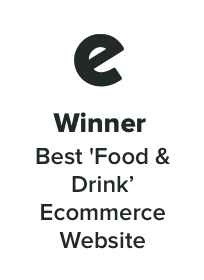 They engaged Eyekiller to develop a next-generation website and digital strategy to grow brand awareness and increase international market share. 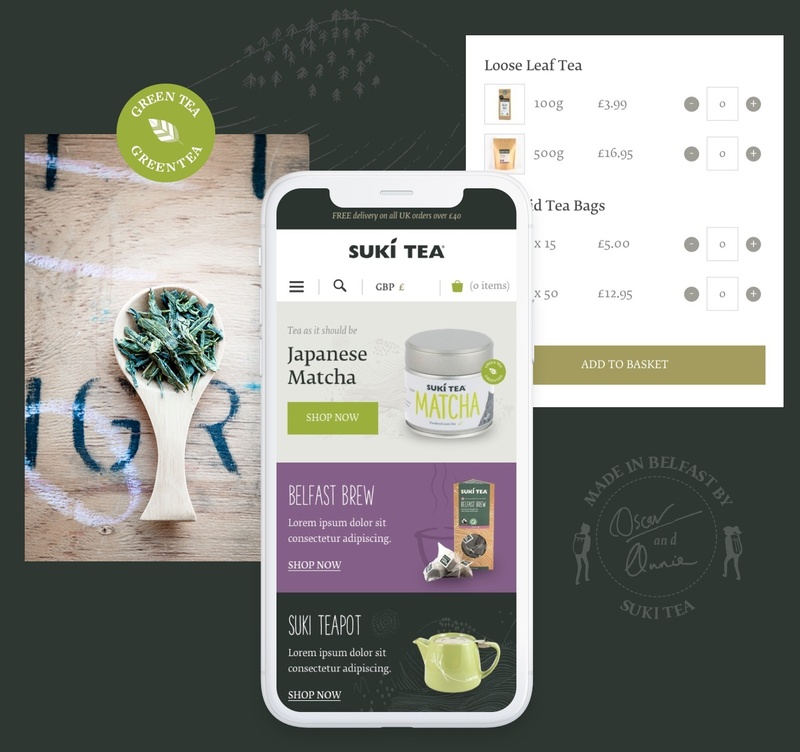 Suki Tea’s digital ambitions were to clearly communicate their story and value proposition, to engage new customers, encourage repeat orders and to introduce a ‘Tea Box’ subscription. 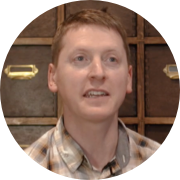 They also wanted their website to support expansion into global markets. 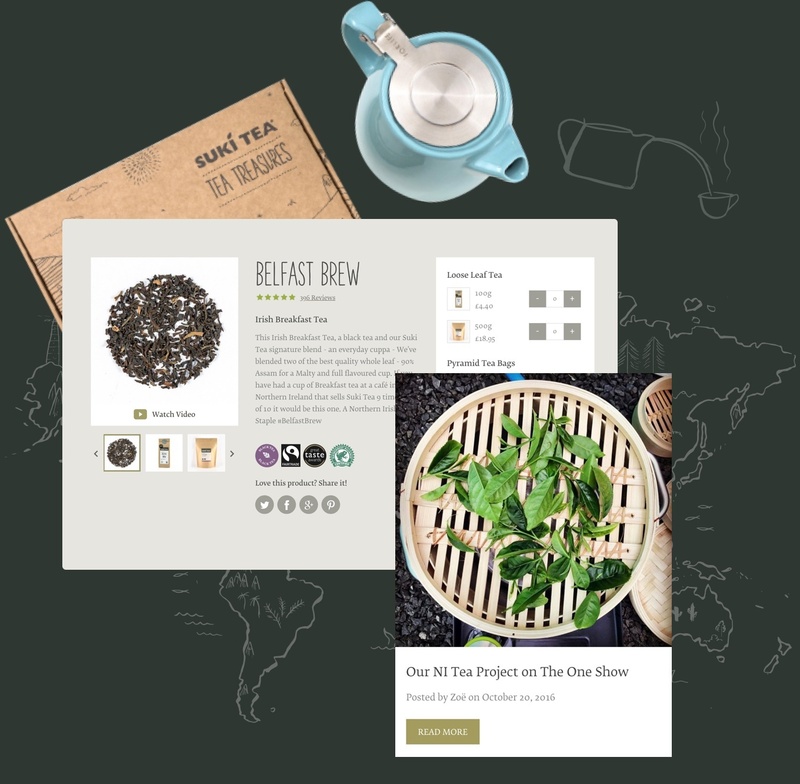 After the development of customer personas, goals and behaviours, we drew up the story of Annie and Oscar’s journey across the world to source ethically produced, organic blends. 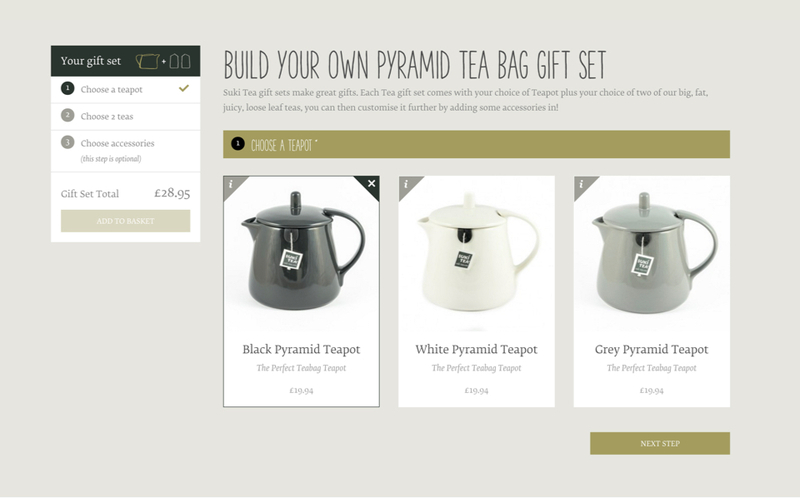 We also set up the bespoke Tea Box delivery service. 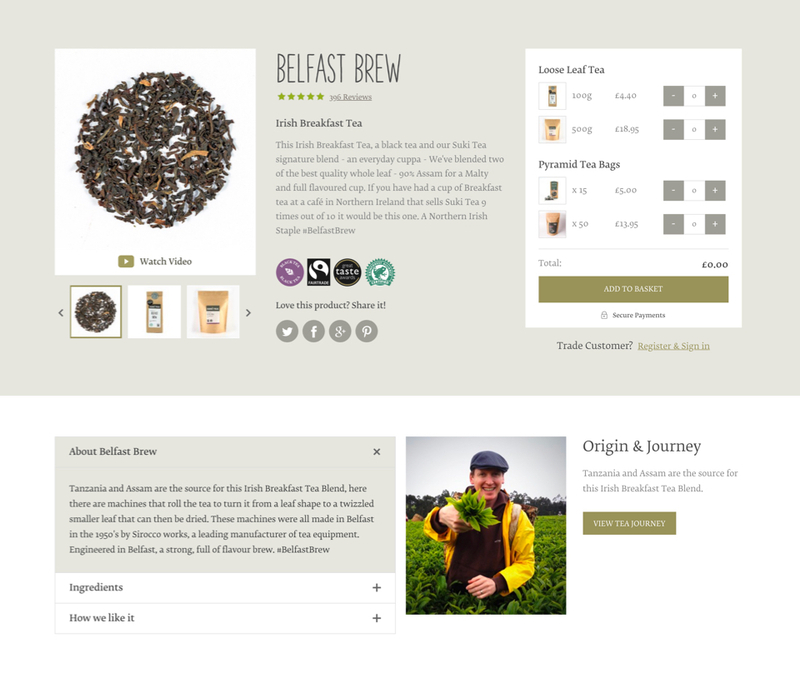 We built the website on the Magento platform, making international trade truly straightforward. Currency conversions, tax rates and shipping costs are automatically calculated meaning that the customer can simply focus on the beautiful product photography, videos and sourcing stories. 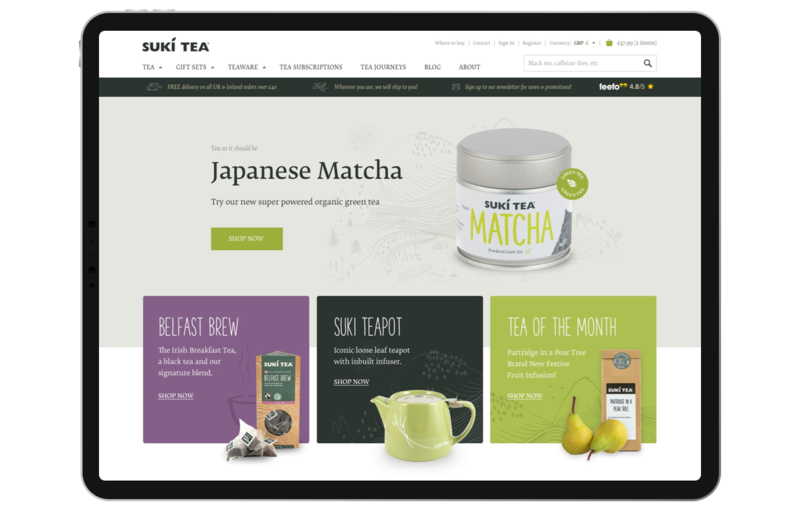 Since the launch of the new website and strategy, Suki Tea has significantly grown their global business. 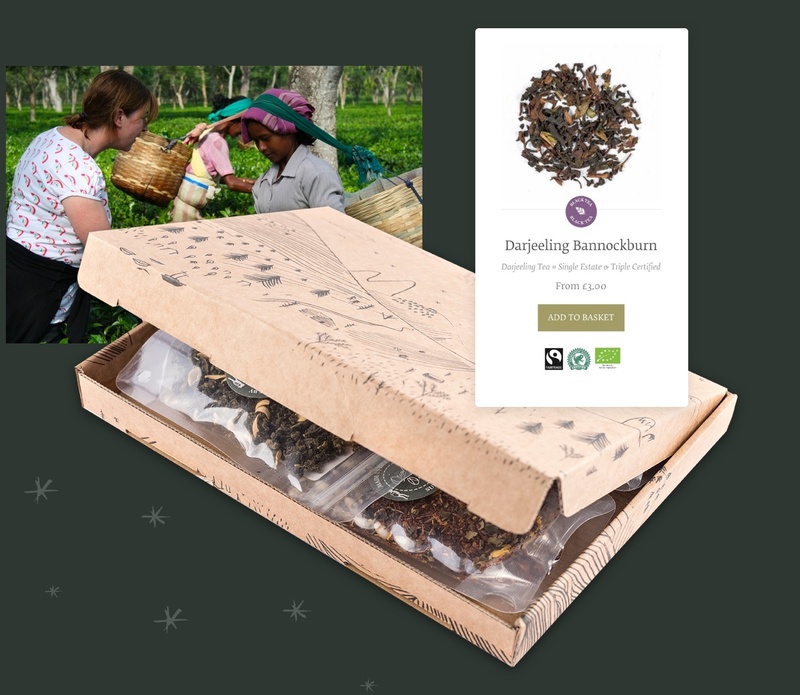 A significant part of this success, the Tea Box subscription, is managed by a customised system that enables the warehouse team to easily handle the demand.